This was a beautiful, sunny day on the prairie in late August. The wheat field across the road had just been harvested. The phlox was in full bloom. The grass was green. I had the house to myself. I had the help of many kitty cats who wouldn't leave me alone. 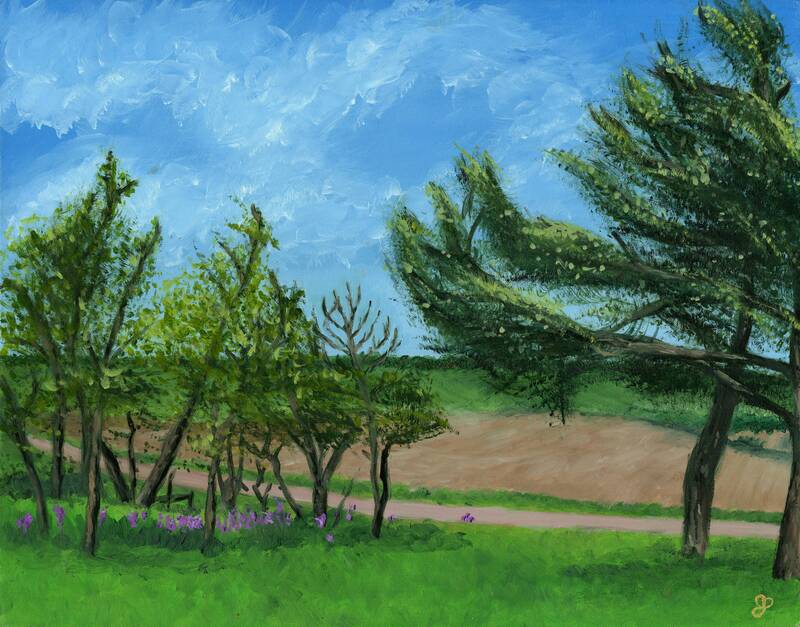 It was an authentic piece of plein air landscape painting.